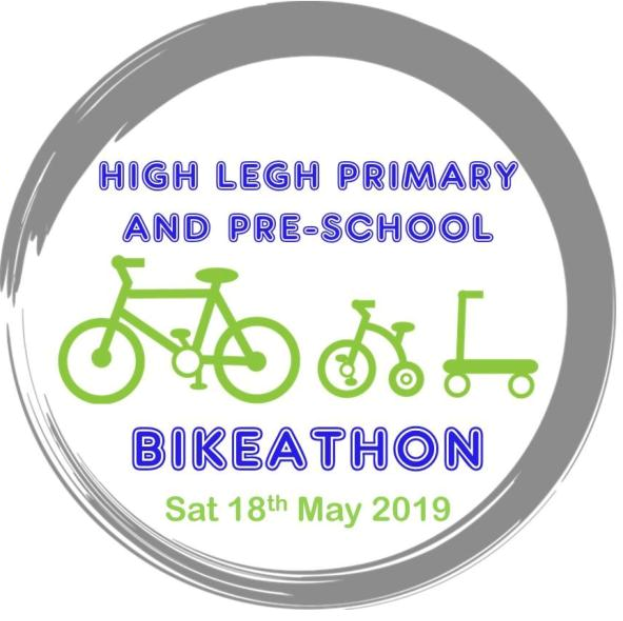 The Bikeathon is a great way for families to enjoy a cycle/scoot whilst raising funds for High Legh Primary School and Preschool. Depending on the age of your child and their cycling proficiency, you can choose to cycle 1km, 2km, 5km or 10km along the Trans Pennine Trail, which will primarily be all of-road. Milestones: The children will be given a card and a sticker can be added each time they successfully reach a milestone station at 0.5km, 1km, 2.5km, 5km and 10km (marked on the map) Refreshments will be provided at the stations, along with Marshalls to help and cheer you on! Children will receive a certificate at the finish line and a goodie bag. 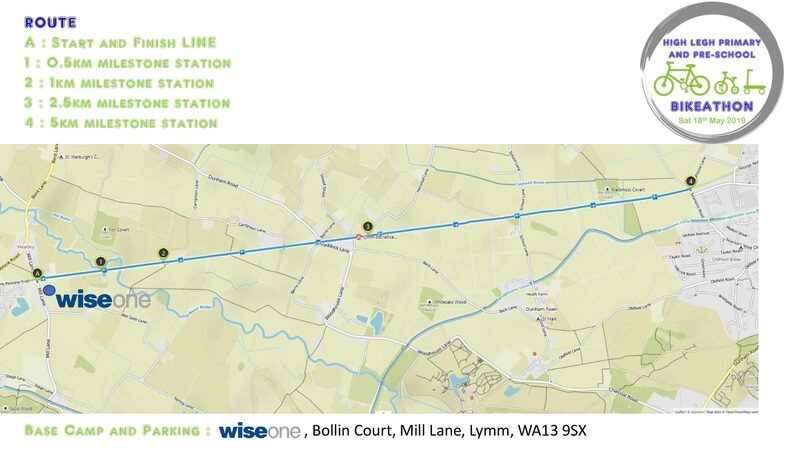 Preschool Activity: For the little ones who finish their route early, there will be craft activities back at WiseOne, Bollin Court. Parental Responsibility: Please note that children must be accompanies and supervised by a responsible adult throughout the event.